The dental office can be a scary place for a kid. The noises, the prodding of teeth, and the dentist’s drill are all things that a kid waiting in the dental office will be wary of and the reason they are reluctant to be examined. Educating the kids to prevent cavities in the first place. Helping kids understand who people are thereby creating a friendlier environment. If kids know what is happening and the rationale for doing things, they are likely to be more cooperative. A dental assistant can explain procedures in a child friendly way, using simple descriptions and ensuring things are clear. Using a doll or teddy as role playing model is another technique that works with small kids. Another way to get messages across clearly is to use animation that can be shown on a TV screen. The dentist assistant needs to identify a way to explain the procedure so that children will not only understand but will be attentive to the message. look at as they get examined in the dental chair. Talking to the kid and maintaining eye contact is calming which something a dental assistant can do as they are helping the dentist. Sometimes, having a parent in the room can help a child receiving treatment. When creating a child friendly space in a dentist’s office one of the best ways to get some creative ideas and insights into what is needed is to ask a child or parent. This is an easy task for a dental assistant who can gather opinion in a dental exam room or support managerial staff with focus groups and questionnaires. By listening to the people who visit the dentist’s office, issues that are problematic can be easily addressed. Kids observe things that are overlooked by an adult, and yet these are really important issues. A dental assistant can be proactive by helping kids who are afraid of dental treatments. In working with the dentist dental assistants can help calm children by using local anesthetics along with well-honed techniques. The dental team can work to get procedures done fast and efficiently on children by operating in a confident and seamless way. Dental assistants can also work with parents to calm and reassure the kid having treatment. The goal of a dental assistant is to gain the confidence of frightened kids rapidly, so they cooperate to complete the dental treatments. They must also calm anxious parents, so they do not exacerbate the situation with a frightened kid. One of the best ways of avoiding problems with frightened kids in the dental office is to do as much health promotion and education as possible to prevent tooth decay. A dental assistant has a vital role of teaching kids how to brush and floss their teeth. This includes reducing sugar consumption and avoiding too much candy. 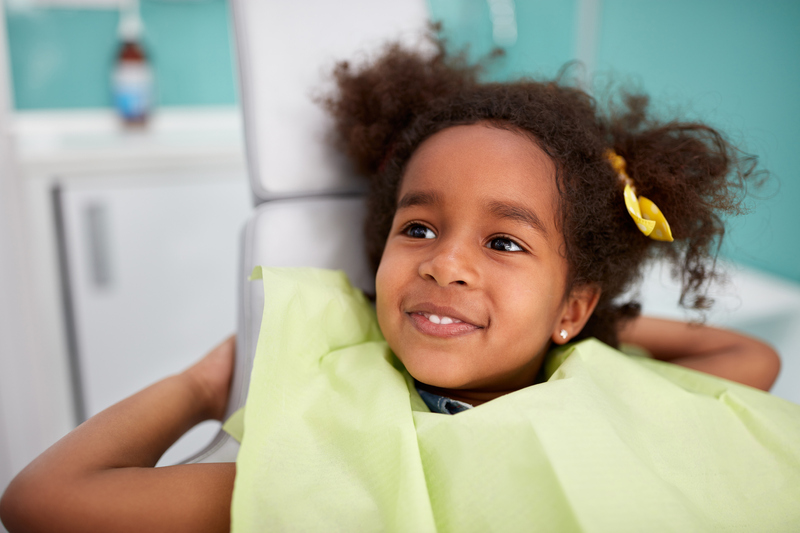 By using child friendly teaching methods, a dental assistant plays a huge role in helping kids stay healthy, so they avoid dental treatment in the first place. Child friendly areas in dentist’s offices are vital and a dental assistant is ideally placed to maintain them and to work with the dental team to deliver care in an appropriate setting. Having space that is bright and welcoming, calm and full of games and toys, is an excellent way to care for kids during a dental procedure. Dental assistants are vital in ensuring the department is a proactive and attractive environment for any kid.